You’re new? We want to do something about that! Join us on Sunday afternoon, April 28th from 4-6pm for some fun, mocktails, and good conversation. We’re excited to share more about Awakening’s story and hear yours too. 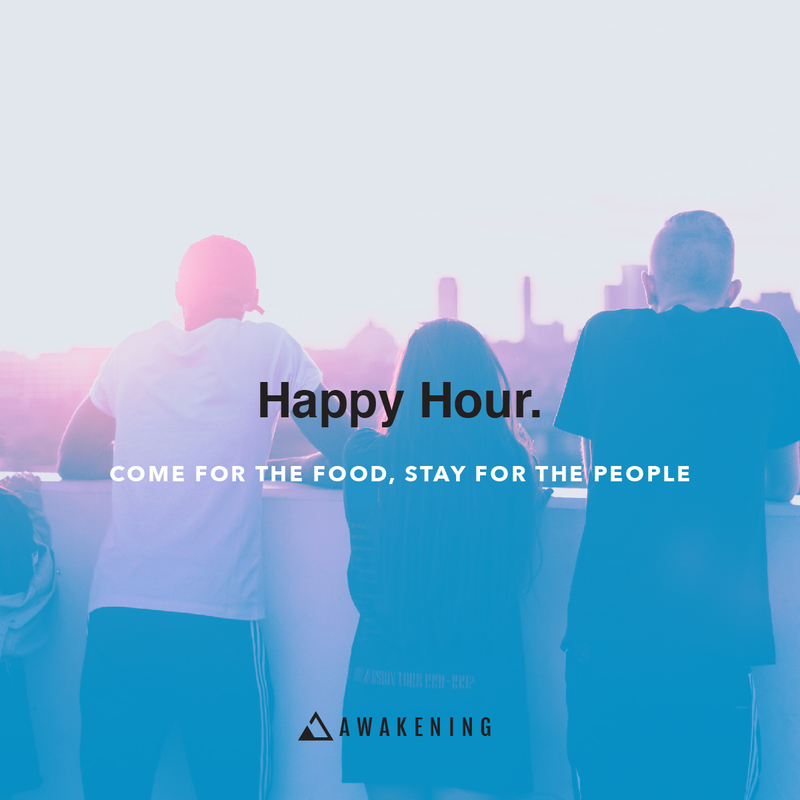 These happy hours are the best way to get to know our staff and others who are new to Awakening. RSVP for more details and if you require childcare. This is our first happy hour at our new offices!